Windsor Middle School is proud to be one of the finest middle school facilities in the North Bay region. The campus, built in 1997, features a full size gymnasium, large multi-purpose room, library media center, soccer and softball fields, and a new music room. Centrally located, the school is adjacent to the Boys and Girls Club, Hiram Lewis Park, and Pat Elsbree Skate Park, and is a short walk from Foothill Regional Park where you might find the cross country team out for a morning run. Approximately 1,000 sixth through eighth graders attend WMS. The school is well known for its exemplary music program, popular and successful sports teams, and many other innovative programs. 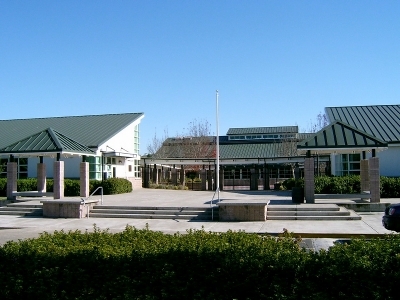 Some of the school’s accomplishments include the California Distinguished School Award in 2001 and 2009, in addition to the California Golden Bell Award in 2004. All students at WMS are provided with an enriched learning program that goes beyond the core curriculum in language arts, social studies, mathematics, and science. Electives are offered in the areas of art, AVID, foreign language, journalism, leadership, piano keyboarding, band, chorus, and strings.